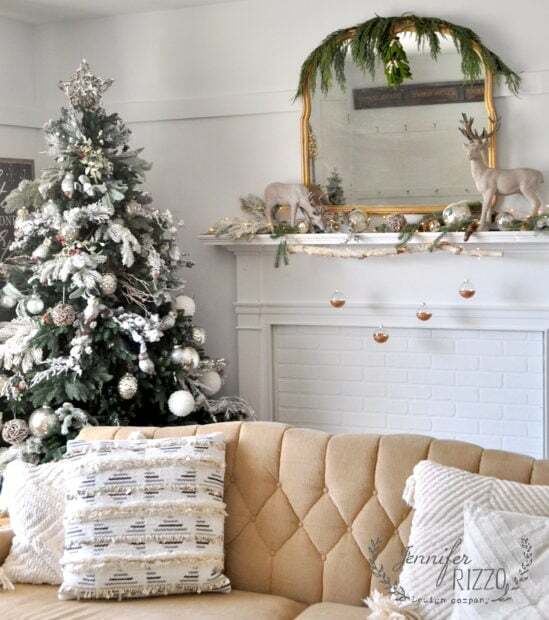 The best thing about the holiday season is the making, and the personal touches you can bring to your holiday. 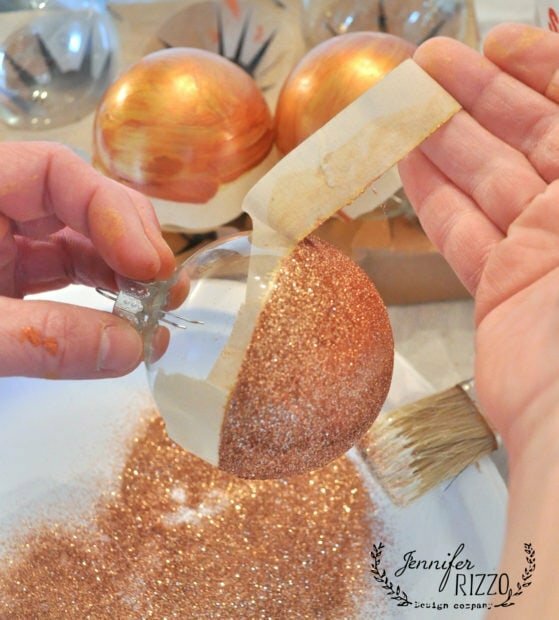 This month with Micheals, I want to share with you an easy DIY glitter ornaments that you can make! 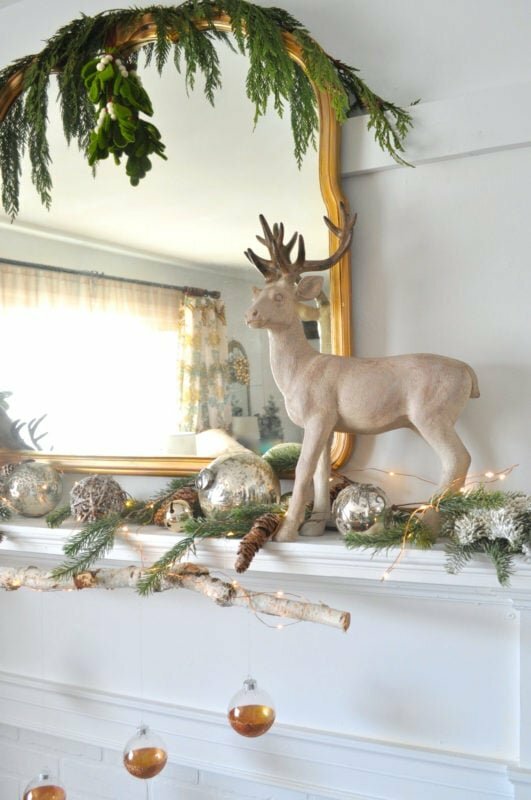 The thing is, anyone can make it merry with Michaels! It’s easy to make something with a big impact, even if you don’t think you have any creative skills. I think everyone is creative, it’s just finding that “thing”. As an artist,writer and crafter, I can do a lot of creative things, but as many of you remember, macrame is my arch nemesis! 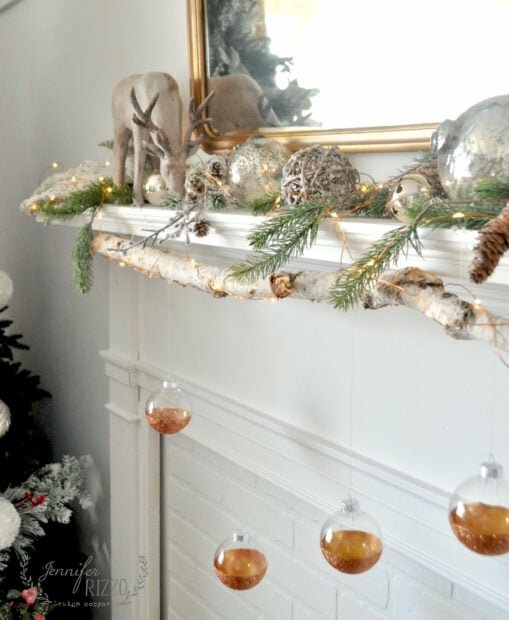 I wanted to share with you a way to make easy DIY glitter ornaments and add a modern touch to a rustic mantel! 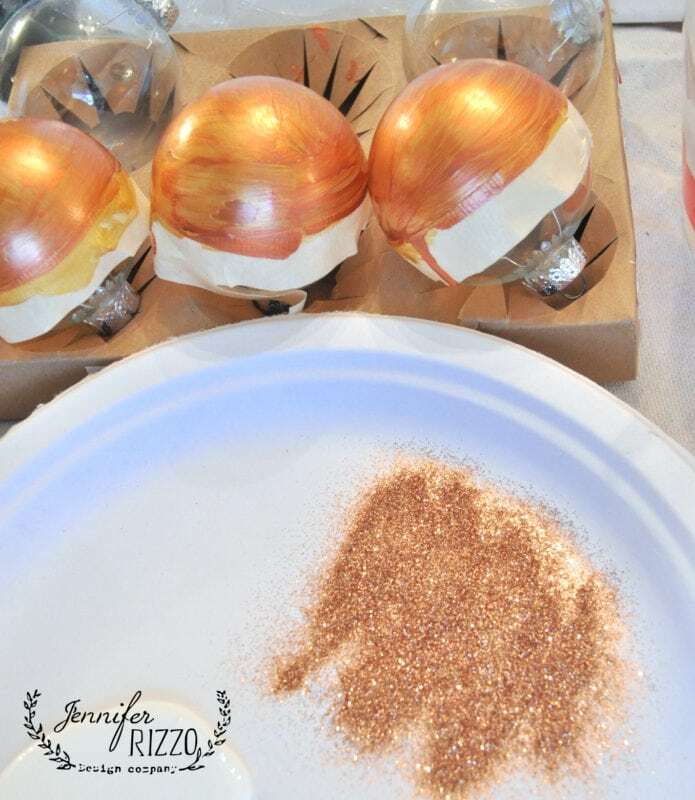 I used copper glitter and with the glass it adds such a pretty,sparkly touch. 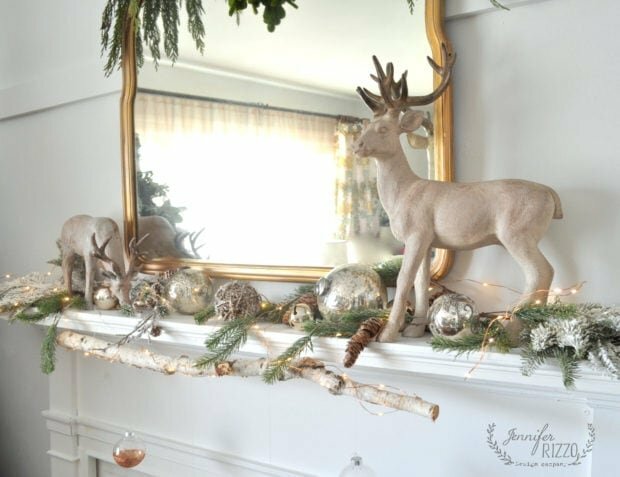 First, gently tape around the outside of the ornaments, especially if you are using glass so you don’t break them, they are really fragile. 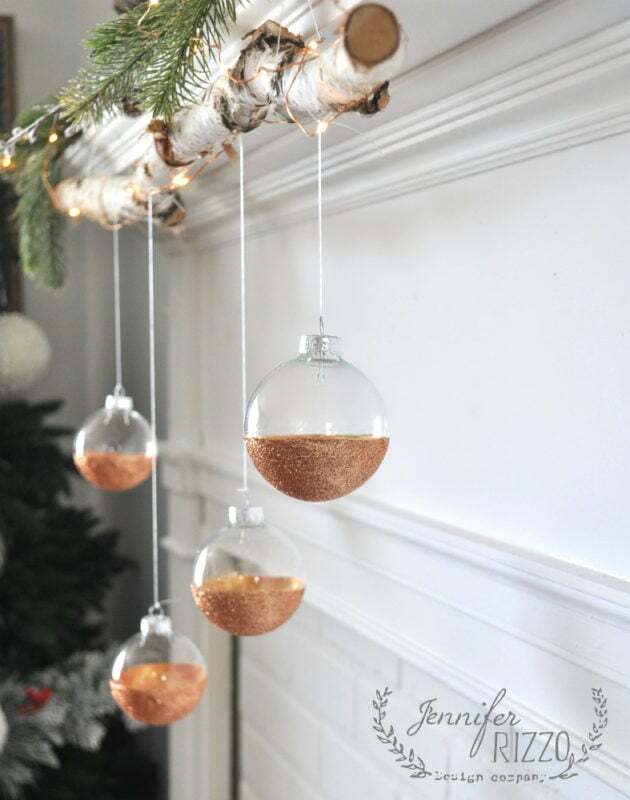 You can also use plastic ornaments as well. 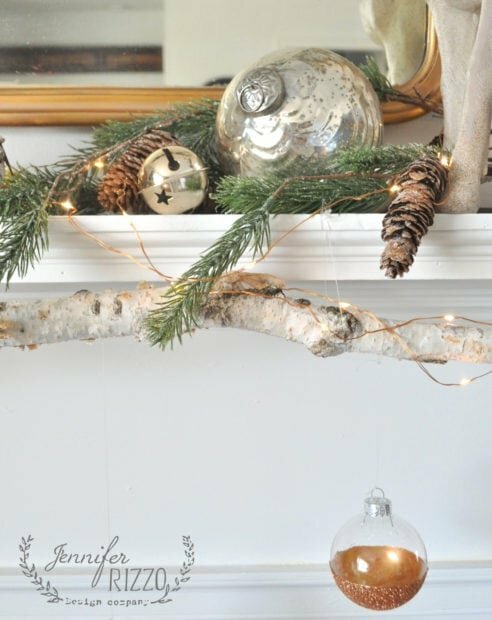 Paint the base with a coat of multi-surface gold paint and then go over the top of that with multi-surface copper paint . 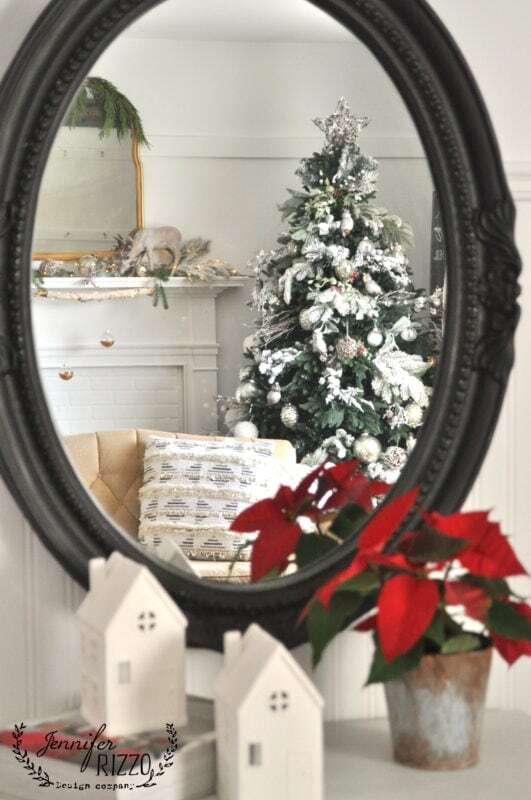 It give the inside of the ornament nice dimension. 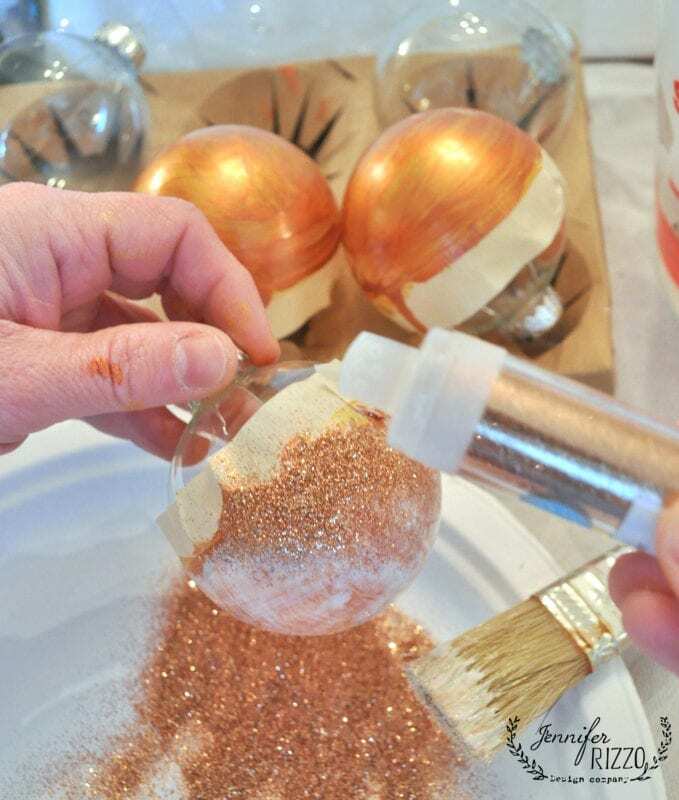 Once the paint is dry, use a brush to paint the base all over with white craft glue and sprinkle heavily with copper glitter. 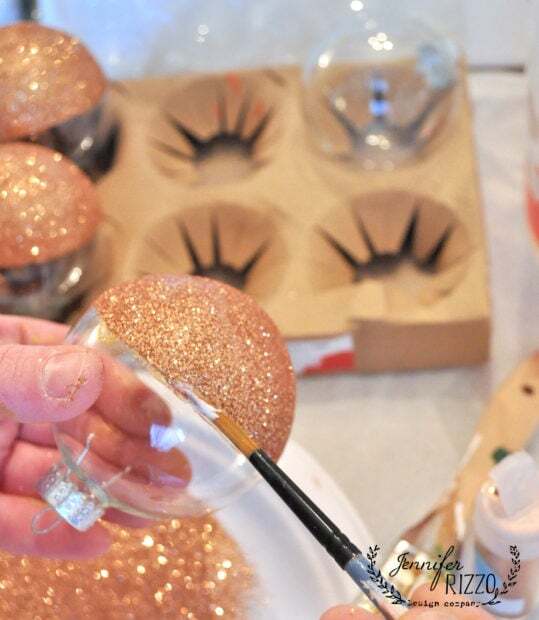 If you have any spots that didn’t take, use a small brush to paint some white craft glue on and add some more glitter. 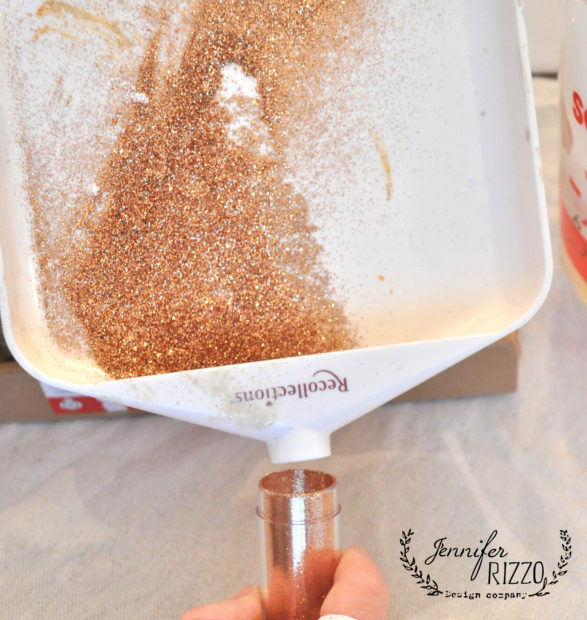 Since I’m so cheap,I have a handyglitter funnel tray for saving my glitter. I love how much I can save this way to use again! 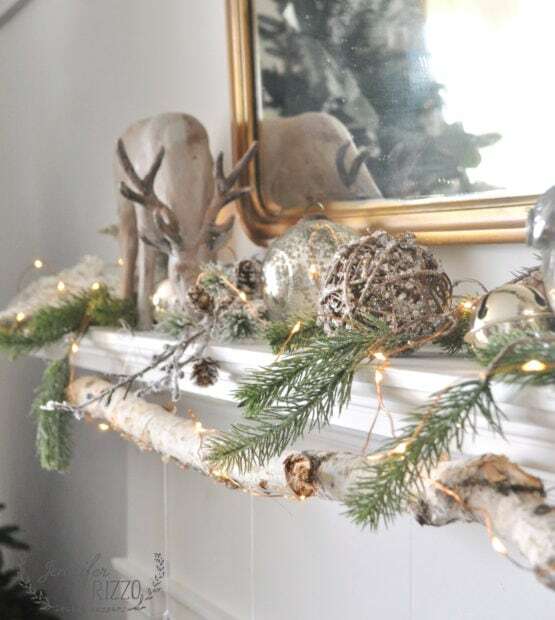 Once it they were dry, I used fishing line to hang them from a birch log on the mantel edge. I also added some copper fairy lights . 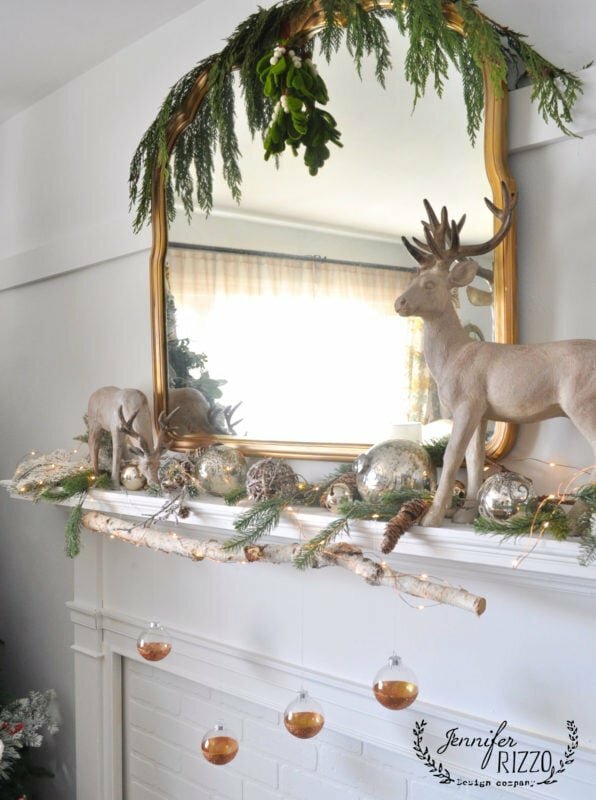 The entire mantel looks really pretty! They add such a nice creative touch. 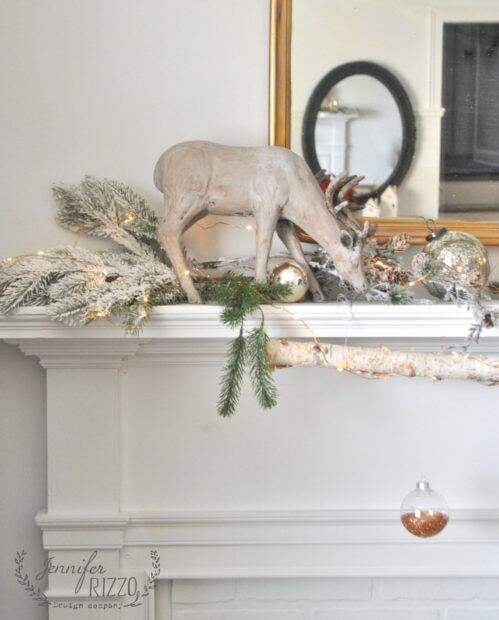 I added some flocked branches and reindeer on my mantel top. I love the gold on the inside and the glittery copper on the outside. 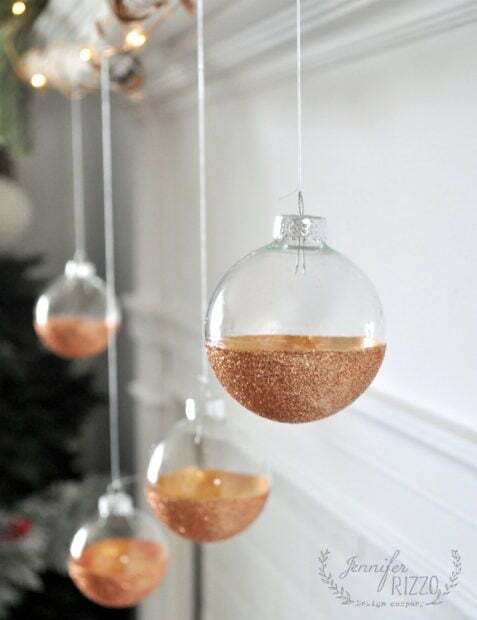 I love how these easy DIY glitter ornaments were! This is a sponsored post, opinions are all my own.